A dirty range hood filter can dramatically increase the chance of a dangerous grease fire in your kitchen. Dirty hood filters are also optimal environments for the growth of harmful bacteria. Keep your family, and your kitchen, safe by replacing your range hood filters regularly. 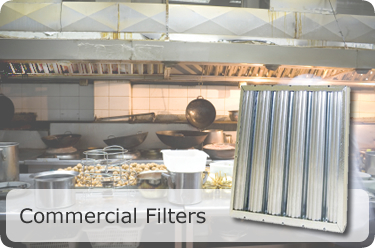 Keep the air clear and breathe easier with a high-quality range hood filter from DiscountFilters.com. A good range hood filter removes grease, steam, smoke, and odors from the air to make cooking easier, cleaner and safer. When you cook on the stove, smoke, steam, and grease are released into the air. Your range hood draws the air straight up from your cooking surface and either filters the contaminants from the air before recirculating it, or vents the air to the outdoors. Without this venting and filtering, odors can built up, giving your home a stale smell of old grease and cooking, and grease can build up in your kitchen, resulting in a greater risk of grease fires. By using your range hood and keeping the range hood filter changed (about every nine months or so), you help improve the air quality and smell in your kitchen and help prevent damage due to grease fires and staining. 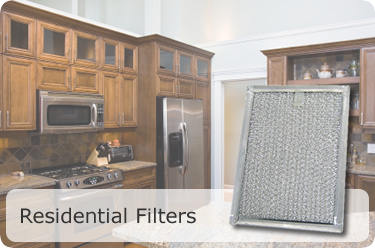 DiscountFilters.com carries both residential and commercial range hood filters, so whatever your need, we have the right filter for you.